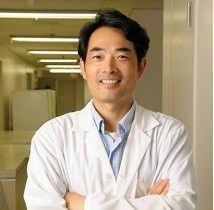 It is with great sadness that we share the news that Dr. Tong-jun Lin, professor in the Departments of Microbiology & Immunology and Pediatrics, has passed away. Tong-jun was a very talented scientist and educator who was highly respected both locally and nationally. He received his doctorate in Beijing (1990), did extensive postdoctoral training in Edmonton and Halifax and joined the department in 2000. He quickly rose to full professor in 2009. Tong-jun made many major contributions in immunology and inflammation. He received numerous awards both through granting agencies and from the Canadian Society of Immunology. He published extensively and patented some of his research findings. He was a major contributor to many team research projects in the Division of Immunology and the Faculty of Medicine and highly respected by all. Tong-jun will be greatly missed by all of us. He is survived by his wife Yi-song and his son William who is currently training in Surgery. Professor Lin’s research interests include signaling mechanisms in allergy, host defense mechanisms against bacterial infection, and immune response in cancer development. His work is interdisciplinary, collaborative and geared both to contributing to the academic literature and to developing immunological therapeutic approaches in inflammation. Yang Y.J., W. Chen, A. Edgar, B. Li, J.D. Molkentin, J.N. Berman, and T.J. Lin. Rcan1 negatively regulates FceRI-mediated signalling and mast cell function. J. Exp. Med. 2009; 206:195-207. Wu ZL, Y Li, A.J. MacNeil, RD Junkins, J Berman and T.J. Lin. Calcineurin-Rcan1 interaction contributes to stem cell factor-mediated mast cell activation. J. Immunol. 2013, Dec 15; 191(12):5885-5894. Junkins R.D, A.J. MacNeil, Z.L. Wu, C. McCormick and T.J. Lin. Regulator of calcineurin 1 suppresses inflammation during respiratory tract infections. J. Immunol. 2013, May 15; 190(10):5178-5186. MacNeil AJ, SC Jiao, LA McEachern, YJ Yang, A Dennis, H Yu, Z Xu, JS Marshall and T.J. Lin. MAPK kinase 3 is a tumor suppressor with reduced copy number in breast cancer. Cancer Research 2014, Jan 1; 74(1):1-11. Investigatorship awarded by IWK Health Centre, Halifax NS, Canada. (A 8-years salary award, Jul 1, 2000 – Jun 31, 2008. Total $640,000). Canadian Institutes of Health Research Investigator Award (A 5-years salary award, Jul 2003 – Jun 2008, total $300,000). Awarded by Canadian Institutes of Health Research. Award of Excellence in Medical Research (Basic Science, $7,000). Awarded by the Dalhousie Medical Research Foundation, Dalhousie University, Nova Scotia, Canada (May 5th, 2004). Canadian Society of Immunology (CSI) New Investigator Award. Awarded by CSI on March 15-18, 2007. Lake Louis, AB, Canada. (CSI presents one award in this category each year at its annual meeting).